I know I have been missing forever and a couple days, but to be honest, lately I haven’t had the drive to write much. I have gone through a lot in the last few months between a breakup, health issues, and a little difficulty at work, my mind has really been elsewhere and I apologize. I did reflect and realize though, that blogging has always been something that has lifted my spirits to do, especially when I get to interact with my readers, so I decided I needed to be proactive about starting again. Thanks for being patient with me and not jumping ship, and please get on my case if you notice I start slacking again. 🙂 I love you guys!! 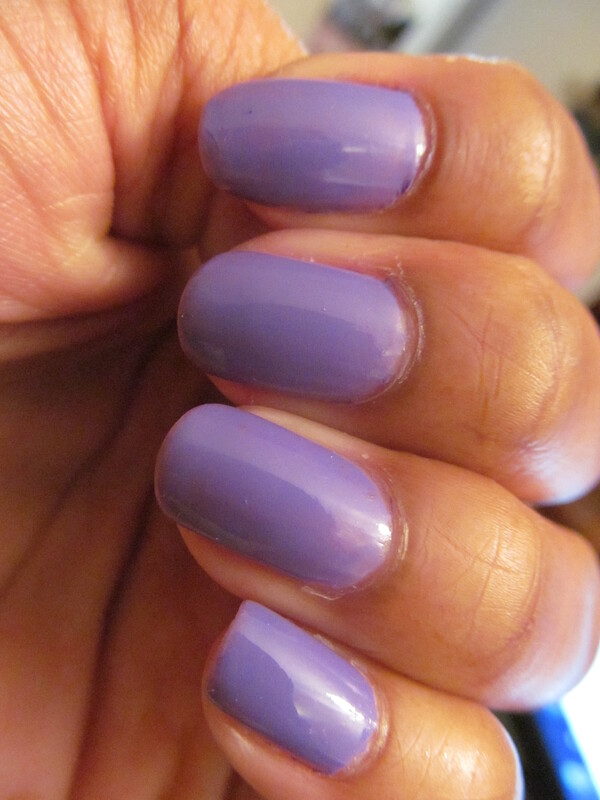 This weeks featured nail polish is from the Wet n’ Wild ‘Megalast’ Collection. 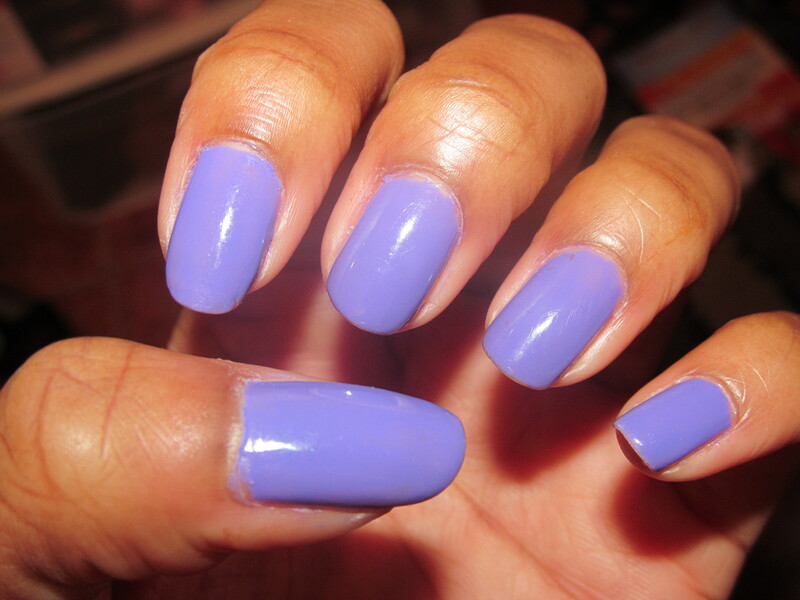 Its a very beautiful purple named ‘On a Trip/ En Voyage’ [# 213C]. 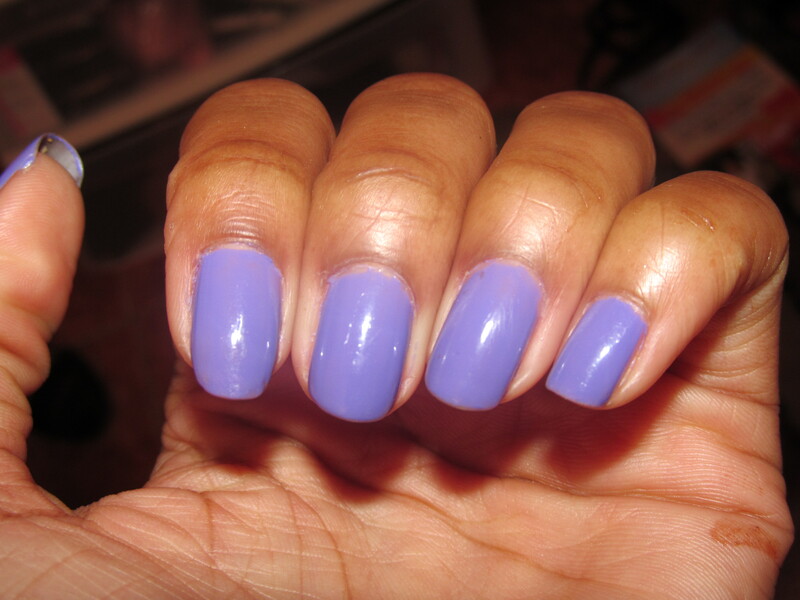 Its like right in the center of lilac and violet, with a very creamy look to it. 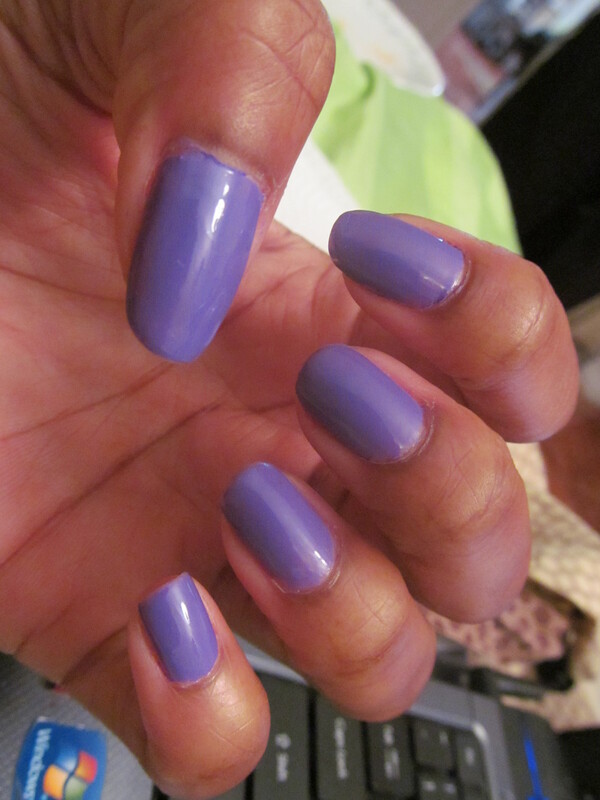 One coat is pretty, but in my opinion, to get the most out of this color and polish, two coats are necessary. The polish also features a ‘Manicurve Pro Brush’, which is a bit wider than most polish brushes. At first glance, you would think it would make for a messier polish job. But, it actually does the complete opposite [at least for me]. It makes my polishing more controlled, and also allows for less strokes, which cuts down the possibility of streaks. I love the formula of this polish. You guys should definitely give it a go, in whichever color you fancy. What’s your favorite brand and color nail polish? Please let me know so I can try them out! Thanks again for stopping by, I really appreciate it. Don’t forget to like and follow this blog if you like what you see for upcoming posts. I’d love you have you all as part of my social networking family so please add me on twitter @iluvbeautie425 and on instagram @kammie876 . Look forward to hearing from all of you. Have an amazing night…love you! Next Post You guessed it!!! Another Bath and Body Work HAUL! !